Proving Grounds 6 MMA Event Pasadena | MMA Fighting Events Videos Techniques UFC Fight Picks and News. 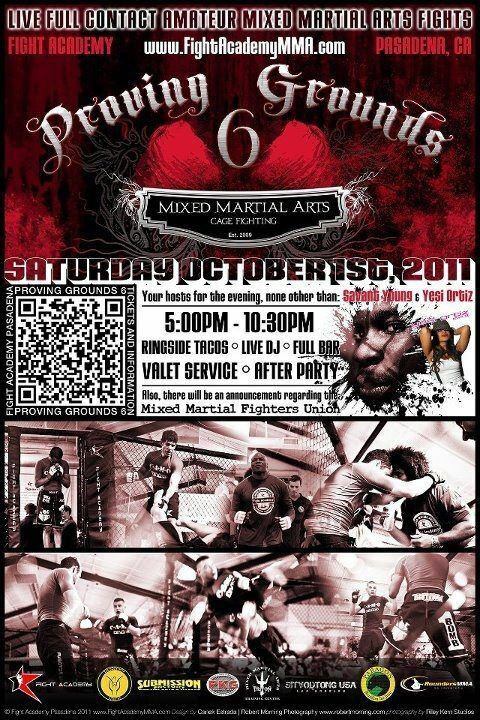 MMA (Mixed Martial Arts) action returns to the Los Angeles area with Savant Young's MMA event Proving Grounds. Proving Grounds 6 will take place this Saturday October 1 at Savant Young's Fight Academy MMA gym in Pasadena (Los Angeles County). Don't miss an opportunity to watch some of the area's up and coming CAMO sanctioned MMA fighters prove their worth in the sport at Proving Grounds 6. Get your tickets online at http://www.fightacademymma.com/pasadena/tickets-and-current-events, or you can also stop by the Fight Academy during business hours. If you haven't attended one of the Proving Grounds events, here's what you can expect: Good fights, a full bar, a live DJ, and possibly a band. Savant Young does an awesome job in turning the Fight Academy into a mini sports arena perfect for MMA fights. There are three fighters at this event that will look to stay undefeated. Carlos Alaniz 4-0 representing The Body Shop, Matthew Reis 3-0 representing the Fight Academy and Eduardo Estrada representing Sityodtong. Look forward to these guys putting it all out there to stay undefeated and continue up the CAMO MMA ranks. I'm officially picking at least 2 fights ending via submission and at least on via KO/TKO at Proving Grounds 6. Will I be correct? 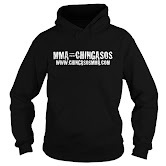 We'll find out Saturday evening when MMA fights are over. If you're in the Los Angeles area, and you're an MMA fan, come support the sport and these up and coming fighters that have worked hard to put on a good MMA event. Jake Ellenberger MMA Fighting Threat at 170?